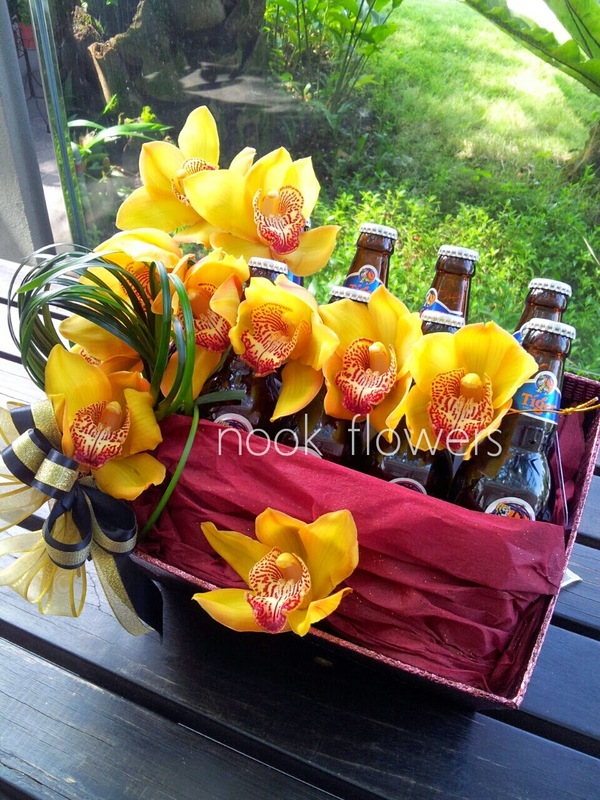 Everyone loves getting presents and you don’t need to be too stumped if your Manly Man doesn't care too much for flowers. Give us a call and tell us about his taste and we'll help you design a gift that's sure to please. 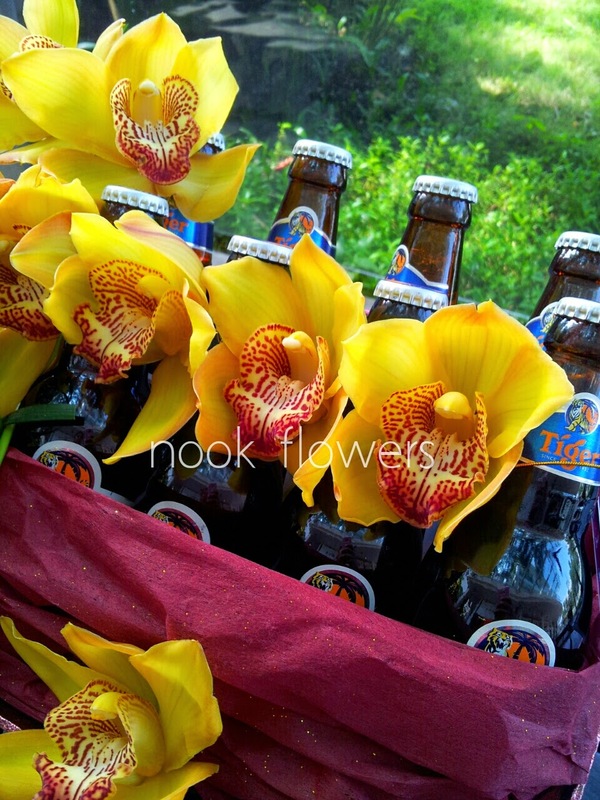 Here’s a selection of treats that’s a definite win-win – he gets the goodies and you get to enjoy the flowers too! Plus the accolade of being the coolest wife, girlfriend, partner, pal ever! 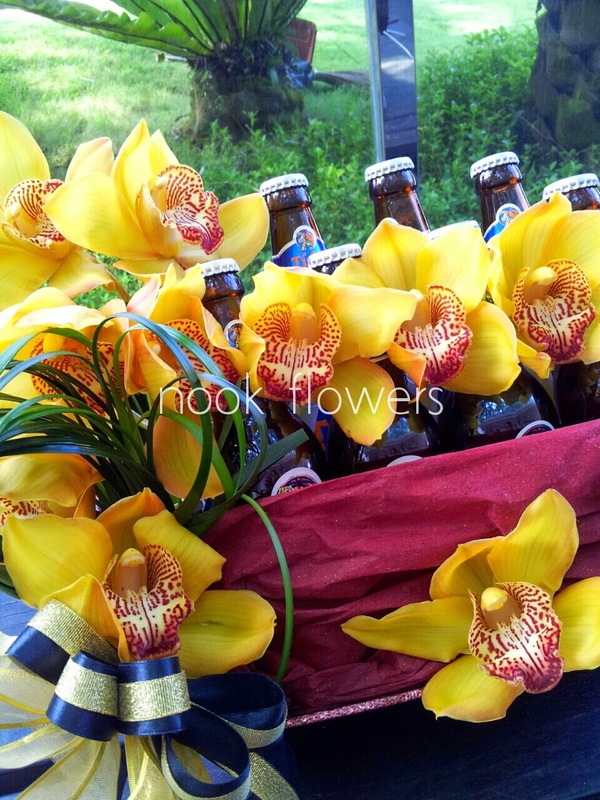 Introducing our BROquet ... because Real Men like flowers, especially when it comes with his favourite tipple. 100% customisable and 200% sure to please! 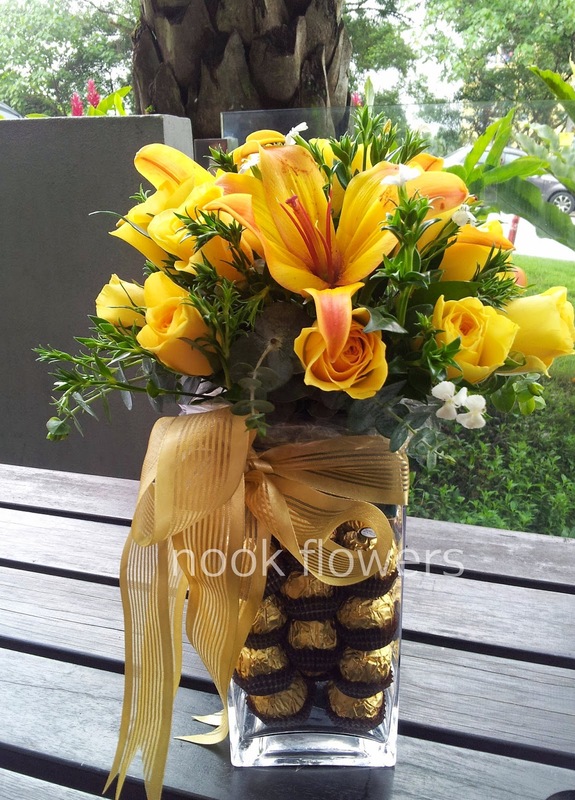 Handmade clear vase filled with chocolates and topped with a floral composition of orange liliums, eucalyptus and yellow roses, and dotted with plox. 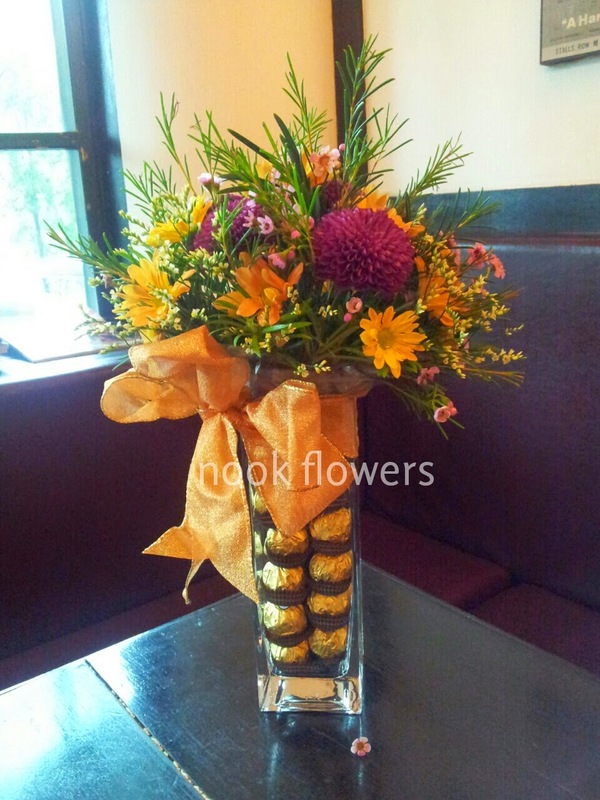 Handmade clear vase filled with chocolates and topped with a floral composition of orange daisies, Australian wax flowers, caspia and deep purple pom poms. 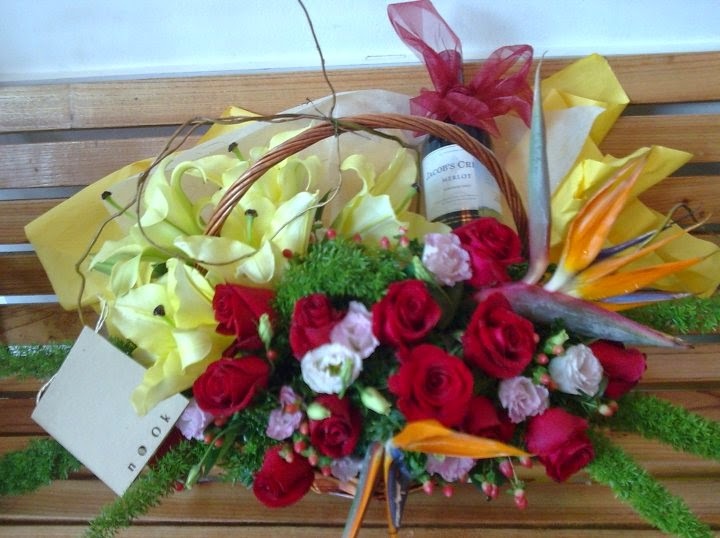 Say it it style with this basket of birds of paradise, conca d'or lilies, roses, eustomas and berries with a nice bottle of wine. Sweets for your sweets! 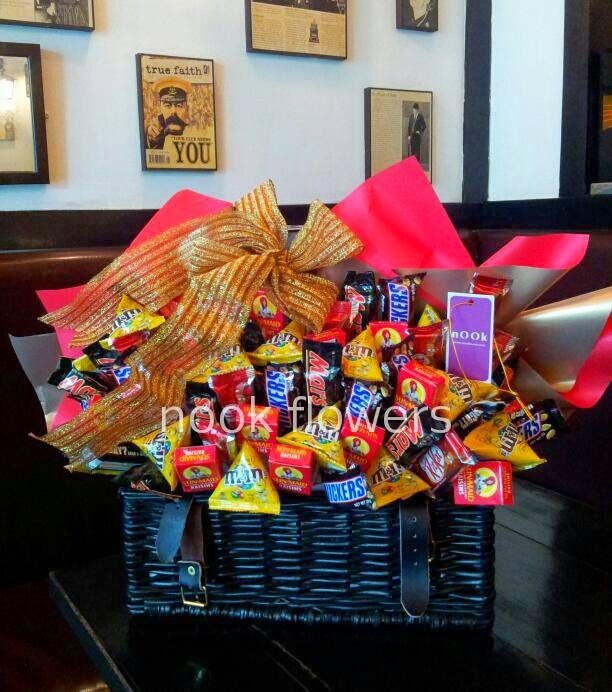 A selection of his favourite candy artfully presented in a picnic hamper. Here's the floral palette from Sanjay & Komathi's stunning wedding on Sunday - at Zebra Square, Kuala Lumpur. Photos to follow. 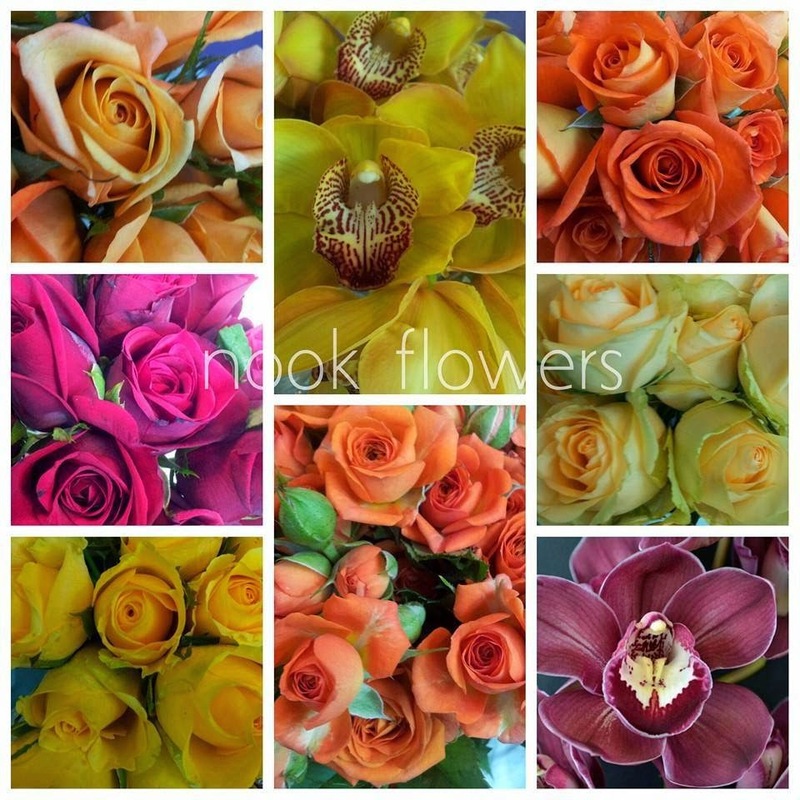 Featuring predominantly roses and cymbidium orchids in shades of red, maroon, yellow, peach, two types of orange, and champagne. 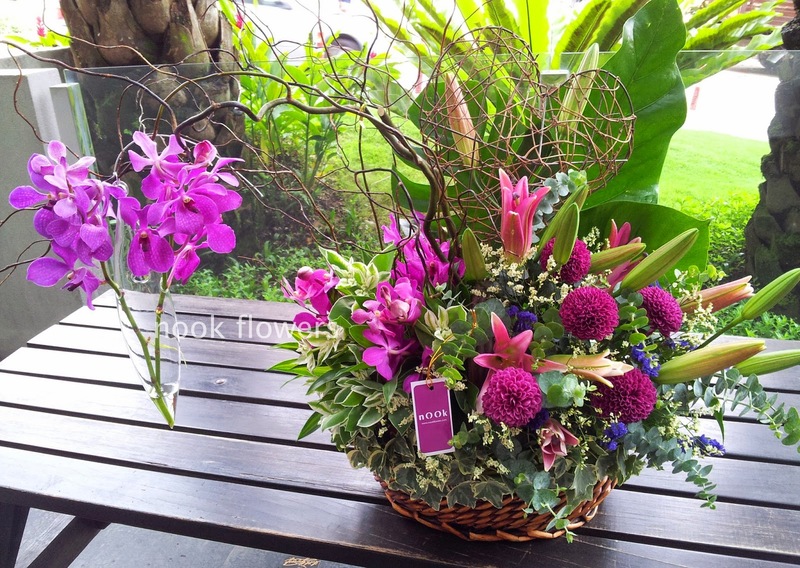 For a 16th anniversary celebration - An extra large composition of lilies, ping pong mums, and orchids in a bed of rich textured greens featuring euphorbia, eucalyptus, song of Jamaica and ivy. The special features here are the suspended glass vial of orchids on salix branches, and the grapevine heart. It'll be stunning once the lilies bloom completely.